Since we moved to Qatar almost 3 weeks ago, Menchies is becoming a regular treat for us since we discovered it a few days after arriving. We’ve been big frozen yoghurt fans since living in Kuwait usually visiting Pinkberry or Froyo but I have to say Menchies is by far my favourite! 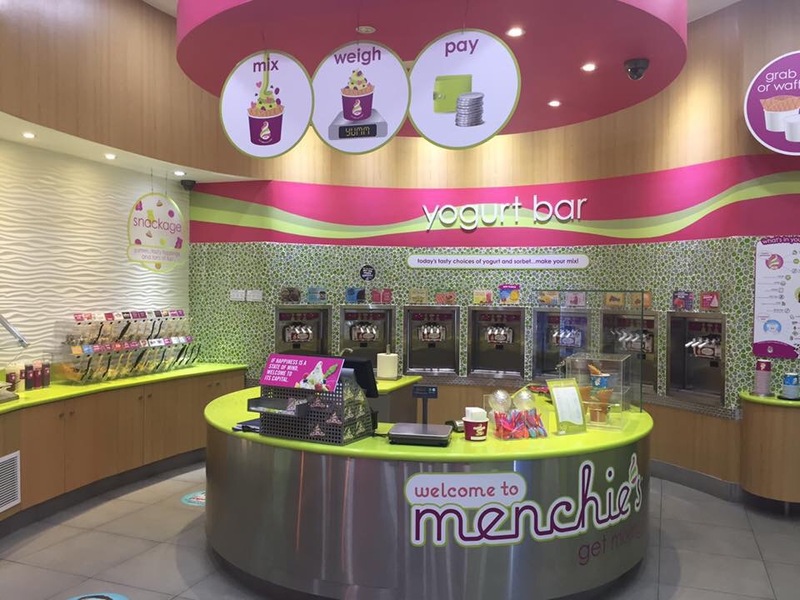 Menchies is the biggest froyo store in the GCC and has the option of 14 changing yoghurt flavours and over 50 topping choices. Yoghurts flavours include the likes of Nutella, biscoff, peanut butter, original and flavoured sorbet. You can choose one flavour or a mix – whatever you fancy! The delicious toppings go from the healthy granola, berries, and a variety of fruits to the naughtier but delicious cookie dough, M&M’s, chocolate chips, rainbow sprinkles and lots more! There’s also a variety of different sauces to add to your yoghurt to make it even tastier. 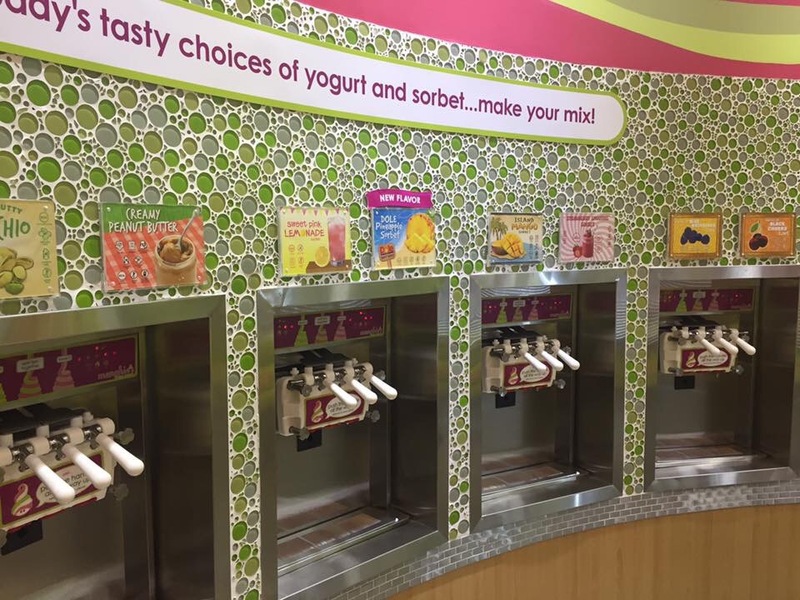 What I love about Menchies is being able to make your own frozen yoghurt. You can choose how much yoghurt you want and what toppings and how much of them. You can add just a couple of malteaster chocolates instead of using a whole ‘topping’ choice like you would at other frozen yoghurt places. Plus the kids love making their own yoghurt and choosing and adding their favourite toppings themselves. 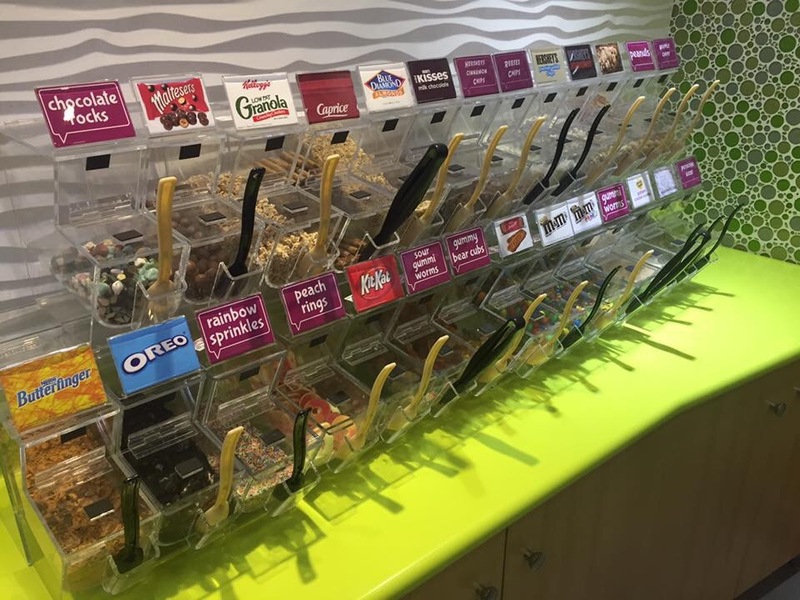 We have visited a few times now and our most recent visit cost 56 riyals – for one adults size frozen yoghurt with a variety of toppings and two children’s size yoghurts with toppings. As the yoghurts are priced by weight you can control how much you want to pay by choosing how much yoghurt you put in your cup and how much toppings you add. You can pay as little or as much as you like depending on how big you want your yoghurt! Perfect! Cost: Depends on how little or how much yoghurt and toppings you want!